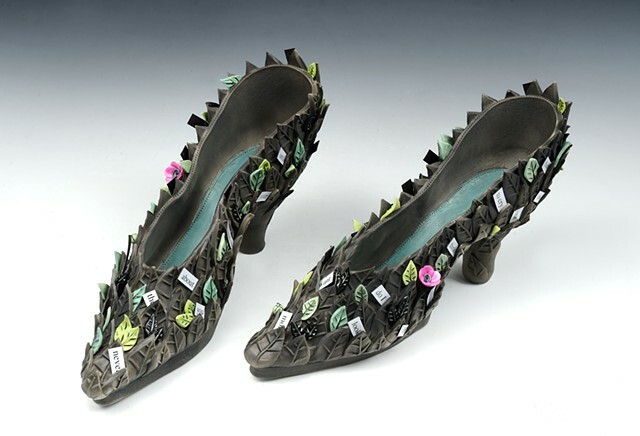 Porcelain shoes with underglazes and ceramic stains. Mixed media added post firing. One of a kind.